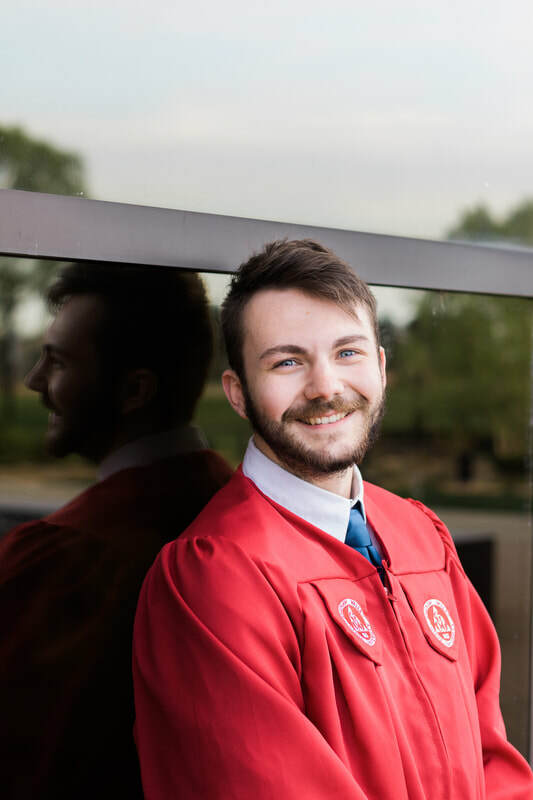 Jacob Browning is a graduate of Saginaw Valley State University (SVSU) and holds a degree in Professional and Technical Writing. Currently working at the United Way in Saginaw as the Marketing and Communications Coordinator, Browning designs informational and promotional communications. His photography and videography have been featured in the organization's campaigns, print materials, and digital communications. Browning's work has also been published in Cardinal Sins, the in-house literary journal produced at SVSU. Previously, Browning was the Co-President of the Cardinal Photography Student Association, a registered student organization at SVSU. Browning was involved in leading workshops, providing photo services for on-campus organizations, and planning professional development retreats to engage members with travel and street photography experiences. Browning lives in the Saginaw-Bay City area. Primary areas of interest for personal work include recreational aerial photography, portraiture, and experimental film. He enjoys shooting weddings, senior portraits, events, and would be happy to help you capture your moment.